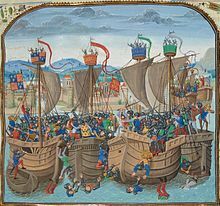 The Battle of Sluys, also called the Battle of l'Ecluse, was a naval battle fought on 24 June 1340 between England and France, in the roadstead of the port of Sluys, on a since silted-up inlet between Zeeland and West Flanders. 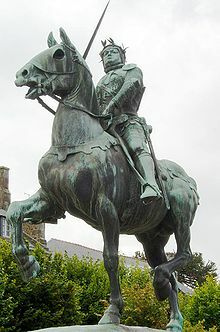 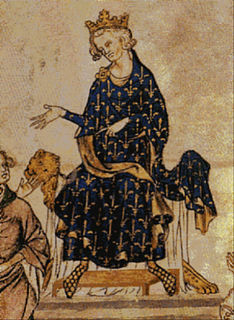 The English fleet of 120–150 ships was led by Edward III of England and the 230-strong French fleet by the Breton knight Hugues Quiéret, Admiral of France, and Nicolas Béhuchet, Constable of France. 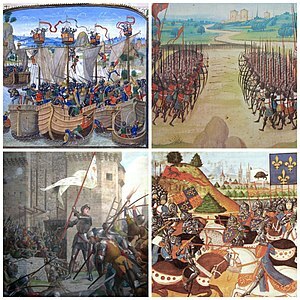 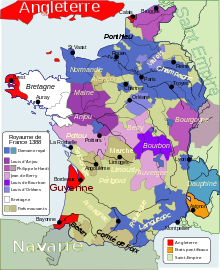 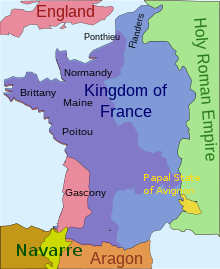 It was one of the opening engagements of the Hundred Years' War. 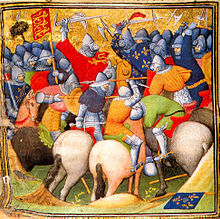 The Battle of Caen on 26 July 1346 was the assault on the French-held town by elements of an invading English army under King Edward III as a part of the Hundred Years' War. 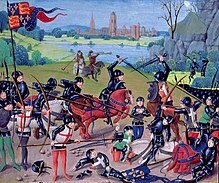 The English army numbered 12,000–15,000, and part of it, nominally commanded by the Earls of Warwick and Northampton, prematurely attacked the town. 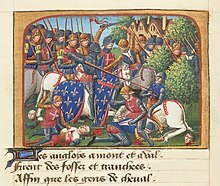 Caen was garrisoned by 1,000–1,500 soldiers and an unknown, but large, number of armed townsmen, commanded by Raoul, the Count of Eu, the Grand Constable of France. 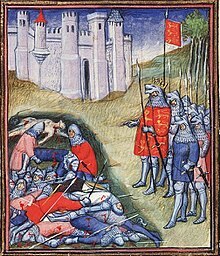 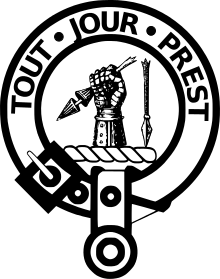 The town was captured in the first assault; over 5,000 of the ordinary soldiers and townspeople were killed and a small number of nobles were taken prisoner. 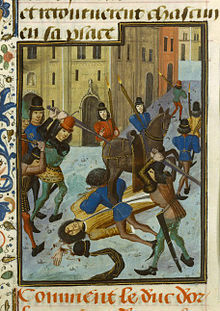 The town was then sacked for five days.